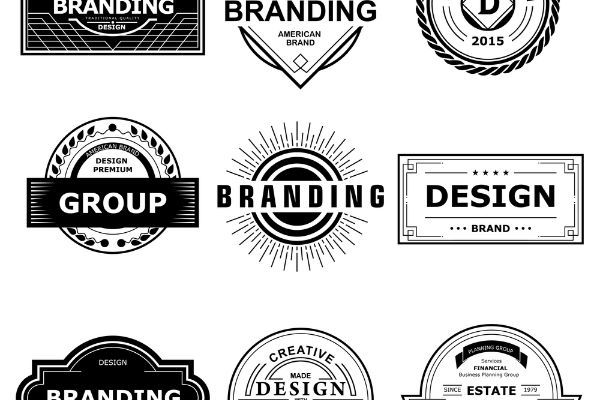 Create or update your logo to represent your values, mission and personality. Designs that bring your brand identity to life covering online, print and fabric. Plan and create a presentation that showcases your brand identity or jazz up your slides. Digital photography, drawing, painting and other digital works for your business. Hand drawn or digital illustrations to convey your messages and for branding purposes. Animate your stories, corporate videos, tutorials and other marketing materials. Almost every business needs a visual identity for customers and potential customers to associate them with. It is vital that this identity is not only consistent across all of your communications and materials, but also appropriate for the type of business you are running. Graphic designers are experts in creating designs, layouts and pieces of artwork that portray your business’ personality effectively. What graphic design services do I require? 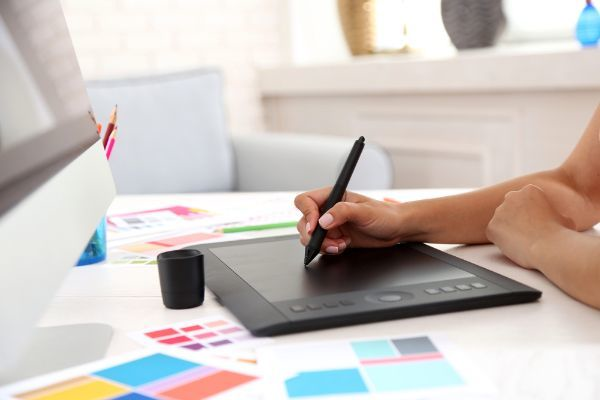 If you are a new business, it can be tempting to go all out having designs done for every piece of material possible – but for most start-ups, your capital can be better spent in more essential areas in the early days. The three most essential elements for most new businesses are a logo, a business card and a website. It is advisable to get your logo right from day one – that way you avoid costly redesigning and reprinting of materials, and you can begin to build brand recognition with your target market. Your logo will appear on everything from your email signature, to your business card, to your website and almost everything else, so it’s important to make sure it is professional, well-designed and appropriate to your business. Your business card provides the first impression of your business and a card that is beautifully designed and printed on high quality stock goes a long way to telling potential clients and customers that you take your work seriously. Many graphic designers will be able to advise you on your printing options, including different types of stock and special additions like spot UV or embossing. Your website is likely to be the cornerstone of your business, providing the essential information new customers need before they decide to purchase from you or engage your services. A well-designed website not only matches the personality of your business, it is also easy to navigate and pleasing to look at. 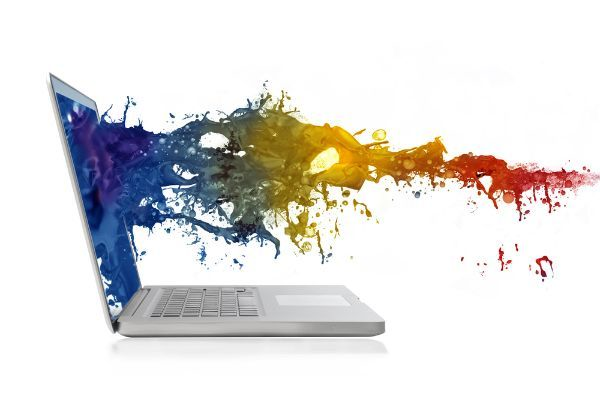 Your graphic designer will work with your web developer to create a site that is both aesthetic and functional. 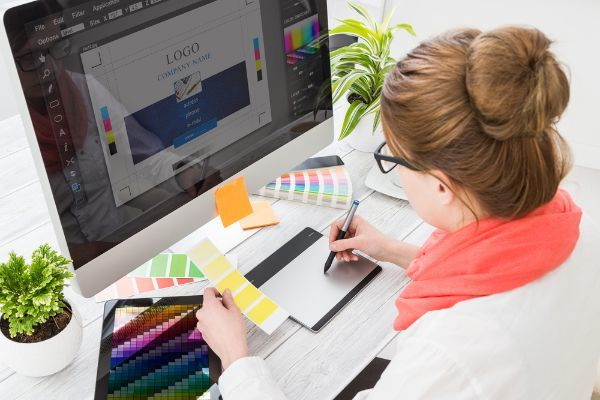 Once your business has the cash flow to justify creating new materials, your next considerations are likely to be marketing focused – advertisements, signs and brochures, for example. These materials help to attract attention to your business, generating leads that you or your staff can convert into sales. 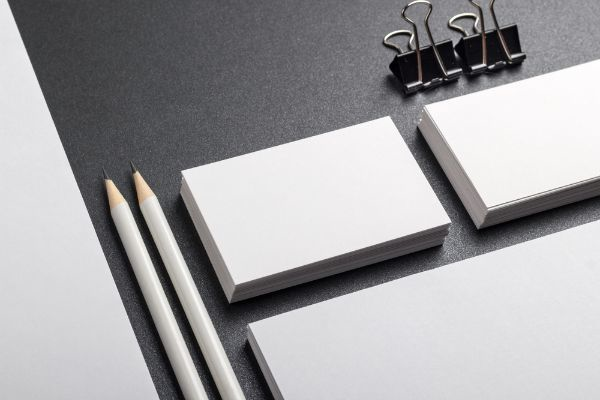 Established businesses can communicate their credibility and professionalism by rounding out their visual materials with custom designed stationery, such as letterheads, envelopes, pens and calendars. While not essential, these materials tell your employees and customers that your business is healthy and they offer an extra opportunity to reinforce your identity and keep you top of mind. What should I do before meeting with a graphic designer? The best thing to do before engaging a designer is to get an idea of your own aesthetic tastes. Having a few logos, business cards and websites on hand to demonstrate what you like can give a designer a big head start in creating designs that will resonate with you. It’s also a good idea to think about who your target market is and list as many of their attributes as you can – 13 year old girls have markedly different tastes to 50 year old men, and graphic designers often have an intuitive sense of what works for who. It’s also a good idea to collect some of the materials of your competitors, so your designer can get an idea of what other people in your marketplace are doing. That way, they can try to outdo them and make your business shine.